The creation of a new custom attribute can be required for applications’ integration, AD-based customized message routing or adding specific flags on Active Directory objects. 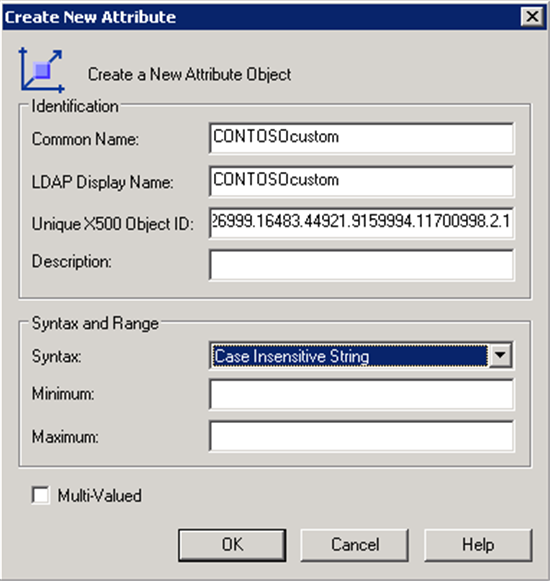 This is an easy task to do but is not a reversible operation – If a custom attribute was created in Active Directory, it cannot be removed. 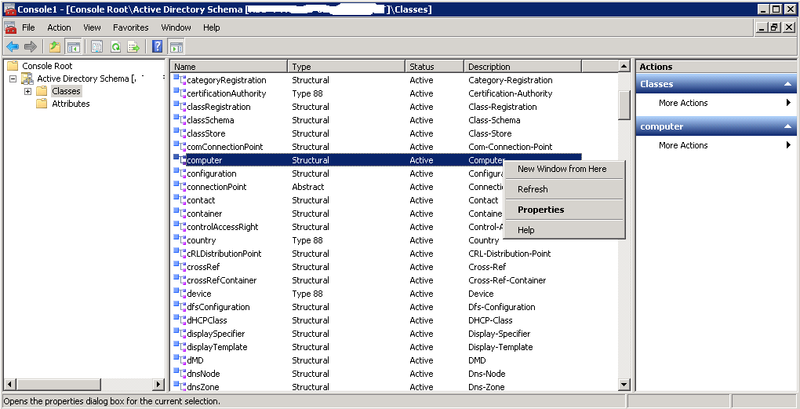 This Wiki article shows how a new Active Directory custom attribute can be created and linked to a class. 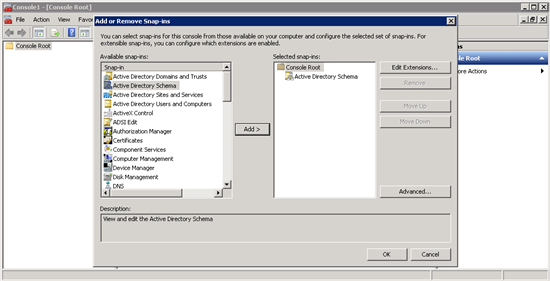 Active Directory Schema is an administrative tool that can be used for Active Directory Schema updates and changes. 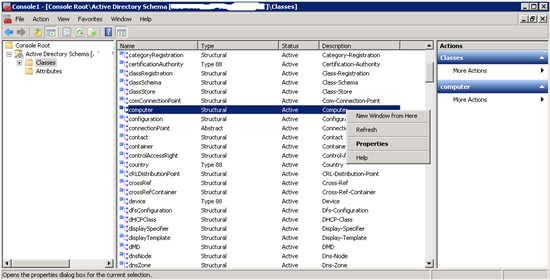 To install it, you need to run regsvr32 schmmgmt.dll command using an elevated prompt (Using Run as administrator option). 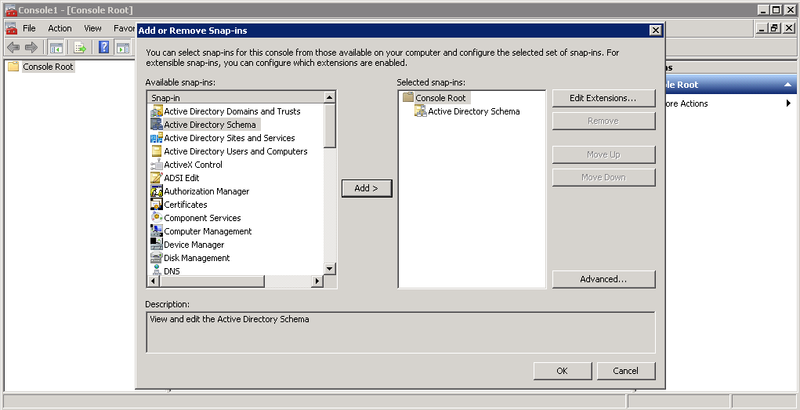 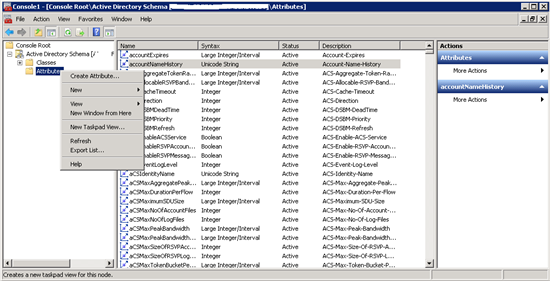 Once Active Directory Schema administrative tool is installed, it will be available on MMC. 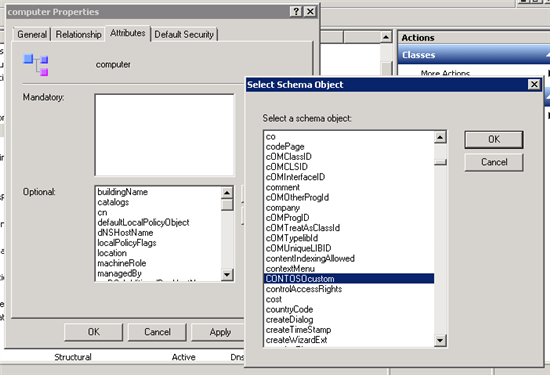 Go to Attributes tab, click on Add…. 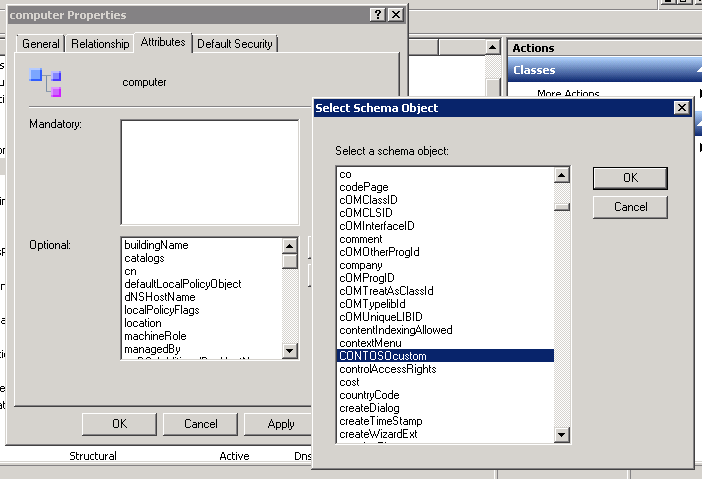 Once done, select the attribute to add and click OK.